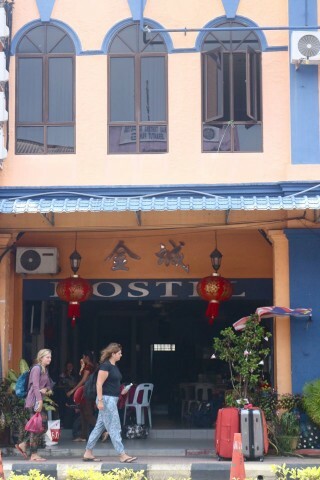 NKS Hostel & Café conveniently doubles as the Jerantut location for NKS Hotel & Travel. The hostel is located upstairs from their busy reception area, but the open-to-the-street lobby has a relaxed atmosphere despite the occasional hustle and bustle of incoming and outgoing travellers. They have a selection of simply furnished and clean rooms, with attached or shared bathroom options inclusive of hot water showers. Free WIFI and laundry service sweeten the home-away-from-home pot as well as an onsite café (next door), which serves hearty western fare and cold beer. They can assist with any and all onwards travel plans. If NKS is full, the nearby Hotel Sri Emas offers similar fare without the home-y vibe, while Backpackers Chong Heng Hotel at 24 Main Street has similarly priced double rooms, but could really do with a revamp.